What I love most about this blog is that I'm given the opportunity to share my passion for sewing with others, the sheer excitement of making something all on your own. I love communicating with you guys through email (even though it takes me forever to respond sometimes, I'm sorry!). I'm often surprised that I hear from so many people that have never even sewn before! I guess I just assume that since my primary focus is sewing, that most all of my readers are sewers too. 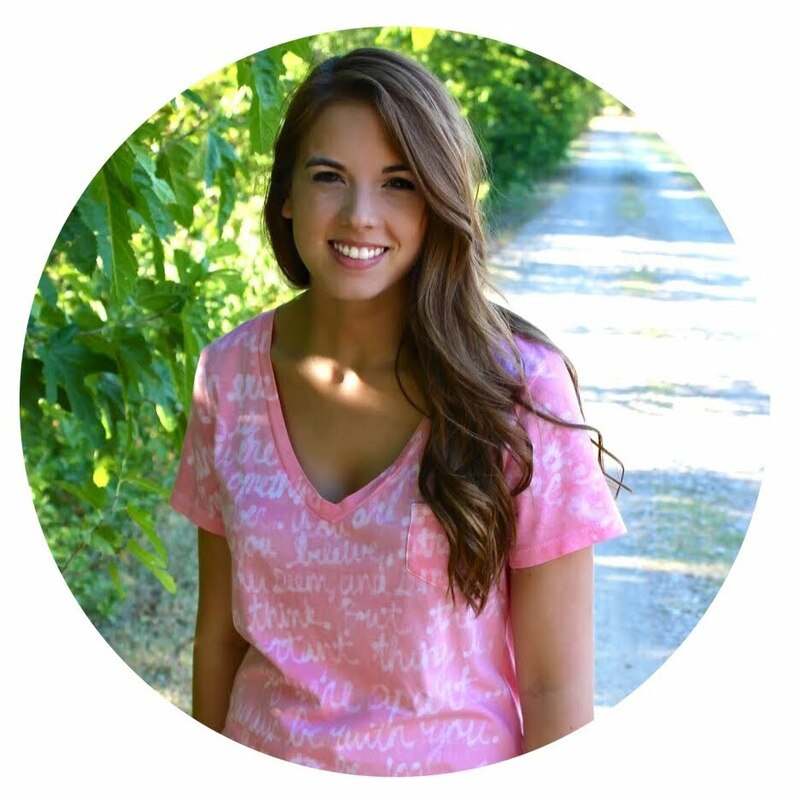 It's amazing when someone tells me they're taking up sewing in part because of this blog. That's exactly the point. I try to inject my enthusiasm into each and every post, because I honestly find so much joy in creating. I know a lot of people think of sewing as a very old-fashioned hobby. When I was moving out of my place last year, one of the moving men laughed and said, "You actually sew? Why? ", when he saw my machine. Umm....yep...because it's cool. He's one of those that thinks sewing is only for grandmothers. That's a perception I'd like to change. Very much similar to this guide, this post is for you on-the-fencers who maybe like the idea of sewing but haven't turned it into a reality yet. I'm catering to those who have only thought about taking up sewing or have just begun. I also want to preface this post by saying this is only the knowledge I've come to know in the relatively short time I've spent sewing. I am an intermediate sewer at best, and certainly don't have all the answers! I understand how taking up sewing can seem incredibly daunting, especially when you've never even tried it before. I've been fortunate to have a mom and two grandmothers who have had a passion for sewing and have passed their knowledge down to me. I also took a class in high school called "apparel", basically home-ec. There I learned how to use a store-bought pattern and I created my first article of clothing (pajama pants that turned out way too small!). When I became interested in sewing again I borrowed my grandma's machine for the summer. I got that chance to become acquainted with sewing before diving in and investing in supplies. I know not everyone has this luxury. Well my first thought would be to, like I did, ask a family member or friend if you can borrow their machine for a few days. You might even offer to pay them for the "rental". This way you'll have a chance to try out sewing and see if it's for you before purchasing a machine. If you don't know anyone you'd be comfortable asking, you can try searching for classes in your area. I know City Craft (in Dallas) offers sewing classes where you actually get to pick your own fabric and make your own pillow, pouch, apron, etc. Joann holds classes regularly as well. Some community colleges have beginner sewing classes that you might look into. Finally, if you can't find or don't want to take a class, try going into a shop that sells sewing machines and tell them you are a beginner. Ask them if you can "test drive" the machine. They'll likely be very accommodating. This is a question I get fairly frequently, and one that I really don't feel equipped to answer. I've shared with you before that my own sewing machine is a Kenmore from the 60's. It was my grandmother's first machine that she passed down to me. It's beautiful and I love it, but it's not really on the same level as today's modern sewing machine. It only has two stitches: straight and zig-zag. It has no back-stitch, no button-hole function, and weighs about 50 pounds. It was also orginally a part of a cabinet, meaning it folded down into the table when it was not in use. As you can imagine it wasn't ideal for all of the traveling I do to and from school. I needed something more portable. So we had a handyman build this specialized box for it to sit in, just right for all the the inner-workings below. Even still, it's about as light as anvil, but it does the job. You may have noticed that recently I've been working on a newer machine. This Elna 2800 is actually my sister's. She's letting me borrow it for the summer since my machine is in storage. It's been nice to enjoy a few extra stitches and some modernized features. I've really enjoyed the stretch stitch and the easy back stitch function. However, I've noticed that this machine simply isn't built with the same quality as my other. I noticed that the presser foot is held in place by a pin-thin piece of plastic, not exactly ideal for an investment like a sewing machine. I've also had some tension issues here and there. However, it's a pretty good balance of lower price and quality. I'm led to believe that when it comes to sewing machines, you get what you pay for. I view a sewing machine as an investment. So if I was in the market, I would go for the brands that I've come to associate with great quality. To me, that's Bernina and Husqvarna. When I one day get a new machine, I'll probably go that route. Like I said, I'm not that knowlegeable on sewing machine brands but I've found some great information at Good Housekeeping. 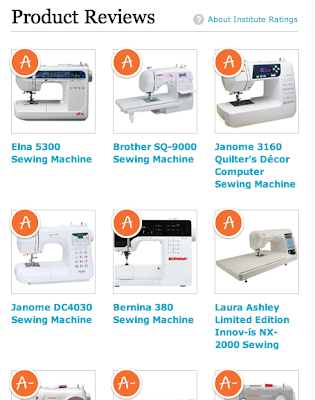 They've rated some of the most popular, moderately priced sewing machines. Serger or regular sewing machine? I've talked about my Singer serger before here and here, but I thought I'd include a brief section on it. A serger is really more of a secondary sewing machine. It can't do many of the things that a regular sewing machine can do (top-stitching, hemming, quilting). 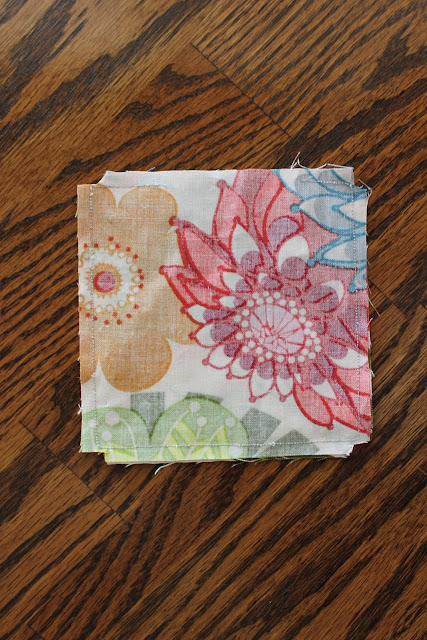 A serger is basically for finishing the raw edges of your fabric. You can also use it sew two pieces of fabric together. It's entirely possible to complete a project with just a serger, like I did here, but for most projects a sewing machine is needed as well. Sergers use 3-5 spools of thread, working together to create what's called an overlock stitch. It's how many seams of store-bought clothing are finished. If you look at the hem of your t-shirt, chances are, it's been finished with an overlock stitch. I LOVE my serger. I use it anytime I can, but it's no replacement for a standard sewing machine. I recently figured out you can ruffle fabric with a serger! Just sew a regular stitch along the top of the fabric and then pull one of the needle threads to gather. I love that it prevents all that fraying that ruffling usually causes. What other supplies do I need to get sewing? This is only a very small sample of all the sewing notions out there. These are the supplies that I use almost every time I sew and that I would recommend purchasing immediately. The rest can come later as you need it. Long, pearlized pins are my choice in everyday sewing. The long needle helps to keep multiple layers of fabric together. There are much thinner pins that you'd want to use for very delicate fabric to prevent damage to the material. There are many different sizes and types of sewing machine needles. Needles will break and you will have to replace them from time to time, so it's important to always have some on hand. Unfortunately this is a tool that you're going to need. You will make mistakes. You'll sew a seam where you shouldn't have or you'll sew your fabric together without right sides together. It happens to me more than I'd care to admit. It's also a great tool for repurposing items. Often in sewing, whether you're using commercial patterns or creating your own, you'll need to take measurements of your waist, hips, bust, etc. I also use mine to measure around something, like the opening of a skirt, etc. You're going to want a good, strong pair of fabric scissors. They should be able to get through thicker materials like leather as easy as a thinner material like cotton. Mine are Singer from Joann. Something my mom and grandma have stressed to me since day one is to use good thread. A cheap spool of thread can shred and gum up your machine. My go-to is Gutterman. It's strong and comes in pretty much any color you'd ever need. I've got a hearty collection.. Your machine should come with some empty bobbin spools, but if it doesn't you'll need to purchase some of these. I like to wind up a full bobbin or two before starting any big project. A full bobbin goes a long way. I guess these aren't absolutely necessary but I find myself using them often. When you're done sewing a seam, it's best to cut and tie off the strings. This helps keep the stitch from unraveling. Or you can use a back-stitch if you have one. I bet you're thinking you don't need a rotary cutter and mat. And you're right you don't need it, you can get by hand-cutting with fabric scissors, but I highly encourage you do yourself a favor and invest in these supplies. I think the number one reason why people think they aren't "good at sewing" is because they aren't being accurate in their cutting. It's so important to cut straight lines and it will make the actual sewing part soo much easier. Having straight seams is reliant upon starting with straightly cut fabric. A cutting mat has all the perfectly gridded lines marked right on it so that you can cut a perfect rectangle, square, triangle, etc. Not only is it great for working on a small scale, it can also help you to cut big panels of fabric. Just fold the fabric (I've cut through as many as 5 layers without issues), lining up the top and bottom and cut however much you need. An iron is another hugely important tool in sewing. More often than not you'll need to iron open your seams. It gives you a more professional look and helps reduce bulk in multi-step projects. You'll also want to use an iron to press a hem before sewing. What are some easy, beginner projects I can try out? And finally, coasters were about the easiest, yet still functional project I could think of. They also employ several sewing techniques. The concept of making a coaster is very similar to the concept of making a throw pillow, and even a tote bag. If you can master this, then you can adjust sizes and make all kinds of things. So I've made a quick tutorial on how to make some fun coasters. You'll just need some scrap cotton fabric and coordinating thread (along with the other basic supplies discussed earlier). Cut squares 4.5" x 4.5"
Pair the squares, placing right sides of the fabric together. When you get to a corner stop with the needle down. Lift the presser foot and pivot the coaster 90 degrees. Continue with a 1/4" inseam. Clip out the extra material in the corners as shown. This helps to reduce bulk and creates nice, sharp corners. Turn the coaster inside out. I usually use an object to help me with this step. Use your iron to shape the coaster. It won't look quite right until you've done this. Finally top-stitch all the way around. This gives a nice finish and closes up the gap. Like I said before, I don't know even close to everything about sewing. I'm constantly developing my skills. Actually the way that I've completed some of my oldest tutorials is far different than how I would do them now. But that's what it's all about, practice, practice. There's no better way to learn how to do something than by learning from your mistakes. Lucky for us, there is a wealth of information out there. 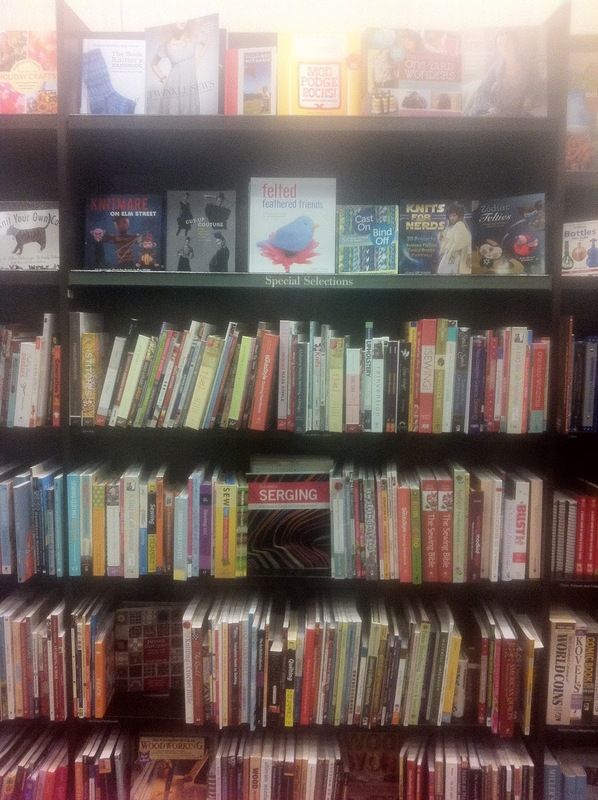 Try spending some time at a bookstore sewing section. 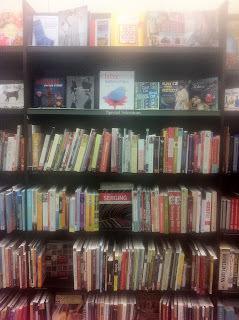 I used to spend hours leafing through these books. My favorite and the only one that I own is The Sewing Book by Allison Smith. It's chalk-full of step-by-step pictures for pretty much every sewing technique you could hope to know. I hope you find this helpful. Please let me know if I missed something or if you're still confused about something. Janome is an excellent brand too. I have their Horizon and love it! I love your machine. It's beautiful and I bet it has a beautiful stitch. Can't beat those old machines. 1. For a new sewer, try to buy a machine from a local dealer if possible. Yes, there are deals to be had on used machines on eBay, etc., but most sewing machine dealers give free lessons and support to those who buy machines from them. They also often have used machines for sale with warranties, because people often trade a machine in when they trade up. Especially if you have no nearby friends or relatives who sew, you will need to have a relationship with the local dealer so you have someone to go to for help when you run into trouble or your machine is going "clunk" instead of "purr!" 2. Bernina and Viking are my favorite machines, too -- but it's easy to get carried away when you see all the cool computerized embroidering robot sewing machines they have for sale. For a beginner, even if you could fork over the dough to buy a sewing machine that costs as much as your first car, don't do it! All those settings and features make sewing a lot more confusing when you're just trying to learn how to thread the machine and sew in a straight line. 3. So, sergers -- I'd say a beginner should start with a regular sewing machine first, then add a serger later if they find they are doing a lot of projects that are serger friendly. Sergers aren't "HARD," but new sewers who don't yet understand basic sewing machine threading and tension could easily be scared away by a serger. This is such a great post! Thanks so much for sharing all this great advice! Love this post--really helps. I love the idea of sewing and I've gotten some basic projects done including clothes. Did you find the time to sew while in college? This is great!! I recently took a beginning sewing class at a local sewing store and loved it!! Your blog has become by daily go-to for ideas! My next projects are going to be your reverse applique t-shirts and game day dresses!! Thanks so much!! (I'm a teacher, so I would love to see you make a cute skirt!) Keep your ideas coming!! Love it! Thank You for your post. I have been sewing for about a year and love it. I love to find people as passionate as you are about sewing. It is very inspirational. I will definitely be passing this tutorial on to others. I too am trying to convince the world that sewing isn't just for our grandmothers. This is a fantastic post, thank you so much! I have always been into crocheting and have been thinking about getting in sewing for a year now. But, I have always stopped because of the cost of the sewing class. But I've decided- I'm young only once and I want to learn to sew. Money will come, money will go. It was what I needed to take the plunge! Brilliant. This is very helpful for beginners and also returners to sewing. i just put "the sewing book" on hold at the library! thanks for the suggestion! Question, ON the stitch selector knob on your grandma's machine, have you ever tried pushing the knob all the way to the top? That is how I get a reverse/backstitch out of my mother's old singer - just curious. Second thing is a suggestion. When I was learning to sew I was taught to take an old needle and a piece of notebook paper, and "sew" with no thread along the blue line - to help learn to control the speed and direction. It doesn't waste fabric, thread and uses up a dull needle. Then I progressed to taking a glass and setting it on the paper and drawing circles. also using the lines to learn to pivot at the red line and "sew back along the blue, turn and pivot down the red line to the next blue and zigzag back and forth. Helps will learning control and makes your body movements and handling fabric under the needle become natural to you. I love my White fashion-somethingorother machine. I got it at Wal-mart or Jo-Ann's freshman year of high school (9 eek!) years ago and it is still trucking. It is the denim model so very sturdy. I do miss my teal table model from my mother's friend. I was jealous when my sister got to use my great-grandmother's black ancient model at our childhood sewing classes. I hated that my mom made us take summer sewing classes but I'm so grateful now when I can 'semi' sew a straight line. ;) My roommates were always amazed by my sewing machine in college. Love seeing all of your projects! I hope they continue to encourage people to sew! It is a great and necessary skill! It was definitely blogs like yours that got me to sit down with my mom's machine and actually start completing projects! Thanks for explaining a lot of the little details that make the sewing experience so much better. My mom is an avid quilter so I've been sewing all my life. I love my Bernette machine. It is a really high quality machine made by Bernina. Mine was about $600 but they have a few cheaper models too. I would recommend it to anyone looking to get a good quality machine for relatively cheap. Great and informative post! Found you on Pinterest! I am *that* much closer to starting sewing ;). Tks for the thread you like b/c I always buy the cheapest and am sorry later. Great post! I happened on this on Pinterest and it's funny because I just made two posts on the same topic. Part 1 of my "How to Start Sewing" series covers sewing machine buying in detail. Your readers might find it helpful. And my part two has similar thoughts on first projects and links to some different tutorials. I've added a link to your post as well, because you have some good info that I didn't cover. Ugh Katy your the BEST! You explain everything so clear and simple. Keep up the awesome work! 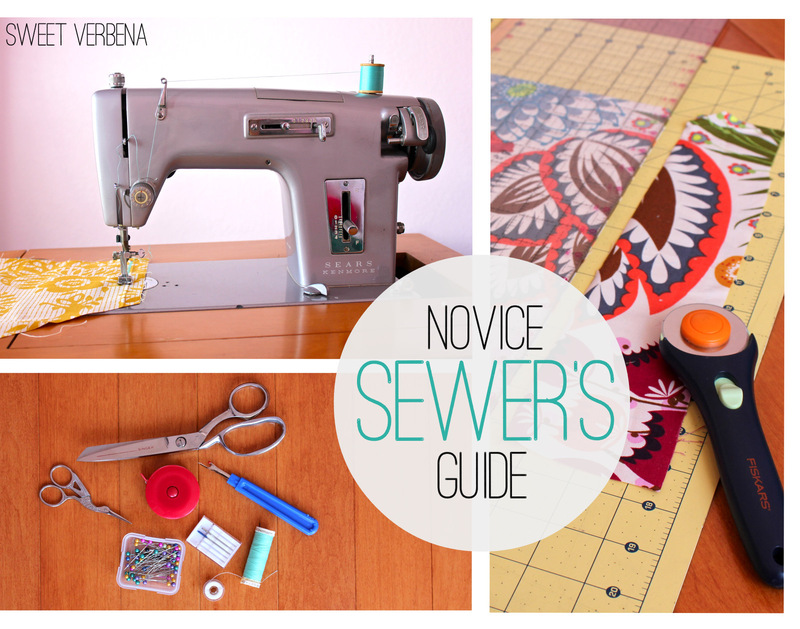 There's a great website, www.patternreview.com, that has huge amount of helpful information for sewers (including a forum). I'm in my early 50's and learned to sew when I was quite young. I am very pleased to see that home sewing is having a bit of a resurgence. What a fantastic post! Thanks for sharing your knowledge in such a thoughtful, easy to understand way. Very helpful for people like me who are still beginner seamstresses. I love the coaster project as a stash buster! The only thing I changed was add fusible interfacing to the fabric to make them more sturdy. Your blog is my favorite to read! On choosing a machine I think there is one thing that is so important even more important than the brand. We all have our favorite brands and as a new sewer continues to sew they'll find their favorite. I've always sewn a lot, mostly for my daughters as they've grown up. I've gone through several machines along the way, usually upgrading. Until about 4yrs ago, my youngest daughter started marching with a drum corps and they needed help with making the flags, so that's what I started doing and I love it. But after 2yrs my machine died, and the problem was the bobbin, it needed to be adjusted, but couldn't be because the bobbin workings were molded into the machine. So stupidly, and because I didn't have much money and because I needed a machine immediately, I bought a machine from a box store again, and bought one of my favorite brands but didn't check about the bobbin workings. Now 4yrs later and my machine died again, and again it was the bobbin workings and again it couldn't be fixed. So I remembered and I learned. So what this all comes down to is before you buy a machine check to make sure that the bobbin holder can be adjusted or has the ability to be removed and fixed or replaced. If you're on a budget you may have to give up all those 'fancy' stitches and buy a very simple machine from a qualified dealer. But believe me, chances are you won't use 50% of those fancy stitches.